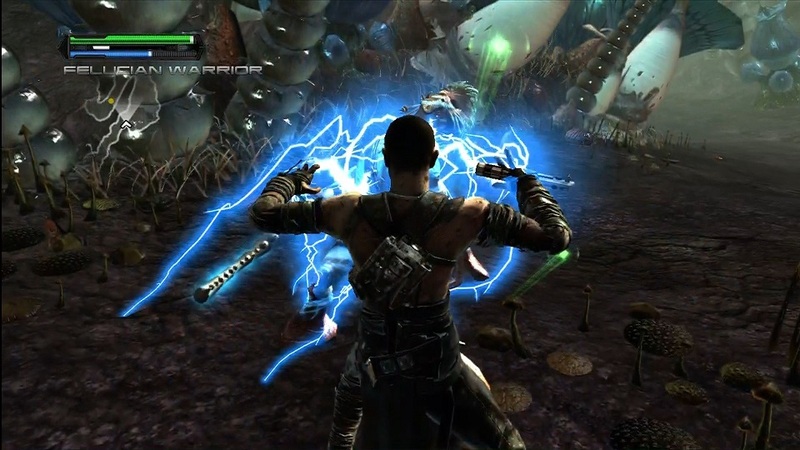 Star Wars: The Force Unleashed was originally released for the Xbox 360 in 2008. Recently it was included in the Games with Gold program, gifting a free version of the game for Xbox 360 and Xbox One to anyone with an active Xbox Live Gold account. 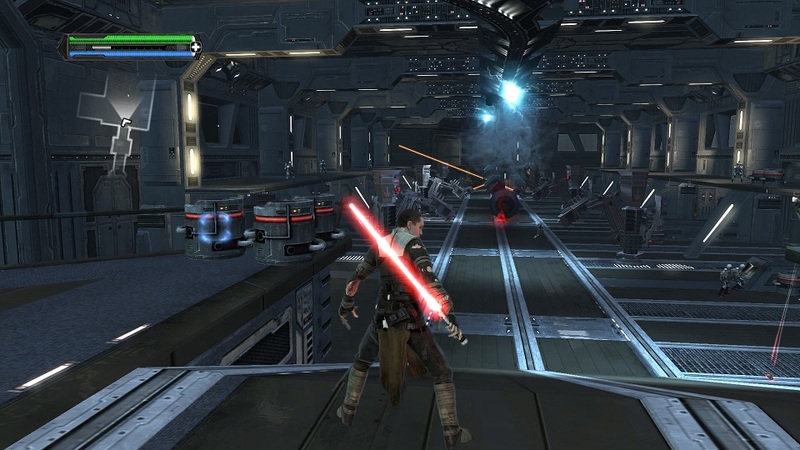 When the game was released in 2008, Disney had not yet purchased Lucasfilm, and the story mode was used to fill the gaps between Episodes III and IV. After a brief tutorial on Kashyyyk where you get to play as Darth Vader, you slip into the role of Darth Vader's secret apprentice, Starkiller. Starkiller was voiced and performed via motion capture in cut scenes by Sam Witwer, who went on to voice Darth Maul in both The Clone Wars and Rebels animated series. Witwer is great as Starkiller, and you can tell he is really invested in the lore as a performer and as a fan. Starkiller is always on the lists of best non-movie Star Wars characters, and it is because of Witwer that people love the character. The story follows all the ups and downs that make side projects like this a headache. One of Starkiller's companions is a droid named Proxy, who can use holograms to resemble any Jedi for training purposes. While this is practical, Darth Vader would want his apprentice to train after all, it feels like a storied excuse to force Darth Maul and Obi-Wan into the game. This kind of winking does nothing for the story at all. Starkiller would have no idea who these characters are, so when Proxy shifts into Darth Maul in one of the final levels, it is done not to serve to story, but to remind the player "THIS IS STAR WARS!". Two other additions to the story are both Bail and Leia Organa, but even they seem out of place. While Jimmy Smits reprises his role from Episodes II and III the game places him in the most obscure place in the galaxy a Senator would be: the jungle planet Felucia, which is filled with hostile creatures. He does deliver a stellar performance, and he is only held back by the sub-par writing. Leia is barely in the game. Nathalie Cox plays Juno Eclipse, the only real female role in the game. Even Leia is present for only one mission a small handful of cut scenes. Juno doesn't do much aside from pilot the ship, provide voice over during missions, and steal a kiss before Starkiller goes on his final mission. Because Force Unleashed is about being a super powered Jedi, there is no iconic dog fight, or space combat at all, leaving Juno little to do. Compared to the great female leads Star Wars is known for, Juno falls somewhere below Shaak-ti and above Old Daka. She is fine, but is ultimately a blank slate that is just begging to be explored. The gameplay is okay, as far as beat-em-ups go. What really sets this game apart from things like God of War and Assassin's Creed is of course, the Force. Unlike using something like magic in God of War, the Force isn't stubborn. No need to go into a sub-menu and equip a specific set of gear, or hold a button while a separate menu pops up, everything is mapped perfectly right on your face buttons and triggers. Y for Force Lightning, B for Force Push and RT for Force Grab. Stringing together Force combos and saber slashes is effortless and fun. You really do feel like the ultimate Jedi when you are winning battles. When you aren't winning battles, the game takes a turn towards frustration. One hit from an errant blaster sends you sprawling to the ground, where you have to wait for a complex animation to finish before you can get up to fight again. The problem? You can still take damage while you are on the ground going through the unskippable fall animation. So if you get hit once, you better hope you fall behind something or fall far enough away from the stomping legs of an AT-ST. This becomes incredibly frustrating in the boss battles, which are not tuned for difficulty at all. 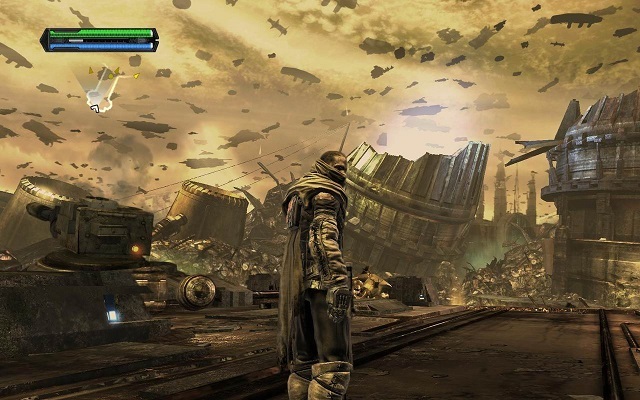 Play The Force Unleashed for the force powers, leave the story behind. I remember playing this game in 2008 when it released, and found myself impressed with the physics of wielding the force and let down by the weird facial animations and story progression. Ten years have not changed my original thoughts on the title, but thankfully, it hasn't gotten worse as it's aged. The game is still fun, and throwing Stormtroopers into the Death Star's laser trench will always be entertaining. It was a nice trip down memory lane, but honestly, I think Disney made the right decision in making this adventure in a galaxy far, far away in its canonicity. It's absence gave us 3 already amazing seasons of Rebels and a stunning movie in Rogue One. But even still, it is a blast to play as an overpowered Jedi. Be on the look out! In two weeks I will have another Retro Review for The Force Unleashed II.